There are so many elements in slow motion video How to Shoot Slow-Motion Video: 3 Tips to Get You Started How to Shoot Slow-Motion Video: 3 Tips to Get You Started Everyone wants to walk away from an explosion in slow motion. Fortunately, with today's phones, it's easier than ever. 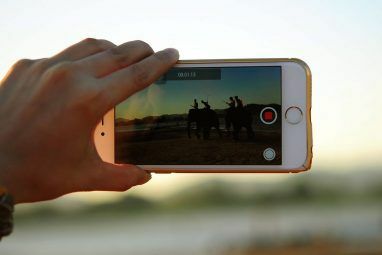 Read More that need to be considered in post-production How to Edit Videos Like a Pro: 8 Tips You Need to Master How to Edit Videos Like a Pro: 8 Tips You Need to Master If you're just getting into the editing game, you may be confused as to what to do with the many millions of clips you have... well, we're here to help. Read More . Luckily for you, we’ve considered most of them to bring you our guide to post-processing your slo-mo masterpiece. An important checklist item when shooting in slow-motion – before you even edit – is to see if you’re working with the actual frame rate you’re shooting in or something called a project frame rate. Basically, your camera is either going to export the video you are shooting in the actual frame rate (say, for instance, 60fps) or it’s going to convert things automatically to a project frame rate (typically 24fps, 30fps, or 25fps). 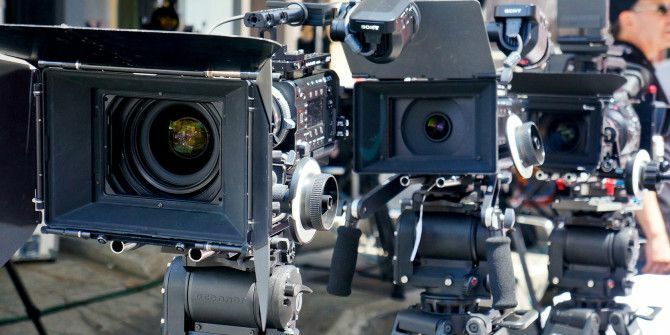 Higher-end professional cameras such as the RED Epic do the latter, but easier-to-acquire cameras – like the Panasonic GH4 – do as well, using a feature called Varispeed. Your iPhone or Galaxy down-converts automatically, too! On the other hand, Canon DSLRs The Best Entry-Level DSLRs For New Photographers The Best Entry-Level DSLRs For New Photographers If you want to take your photography skills to the next level, or you know someone else who does, then there's no better way than to enter the world of DSLR cameras. Read More – like the 7D Mark II – will shoot 60fps and then export the video file as 60fps, playing back in real-time. So what happens when you’ve shot footage that’s exactly 60fps? Well, you need to convert it if you want to watch it in slow-motion. 60fps is the most common high-frame-rate video export. It’s more commonly found at a quality of 720p among high-end consumer cameras, but it’s slowly moving its way up to 1080p. Basically, you just equal a fraction featuring your desired project frame rate over your existing file frame rate, and then solve for x. In this case, x = 0.25 (or 25/100), so that means 25%. Playback is then 25%. Easy stuff – don’t overthink it. Instead of having your 96fps video play back exactly at 25%, you could simply have the video play back at 50%. It will still be slow-motion, but it will be slightly less slower than doing a full 25% slow-down. This means you’re treating the video as if it was shot at 48fps. It’s also important to try and do your division in increments that are divisible by your actual playback rate. For instance, Trying to play things back at 73% might look weird, but playing it back at 75% will look a little better. Granted, there are always anomalies and exceptions, so your results may vary. Another thing to consider is possible flickering in lights. Many lights and signs – particularly LEDs Light Your Home the Smart Way With Philips Hue Light Your Home the Smart Way With Philips Hue If you can afford the initial expenditure, you won't find a better-supported and more user-friendly smart lighting system on the market. Read More – do not have a constant output – instead, they flicker (invisible to the naked eye). Many cameras actually capture the frames in between those flickers, so by playing back at an unorthodox frame rate, the flickering will be more pronounced. Even playing back at a normal frame rate can make these flickers prevalent, so it may take some tinkering to get it just right. 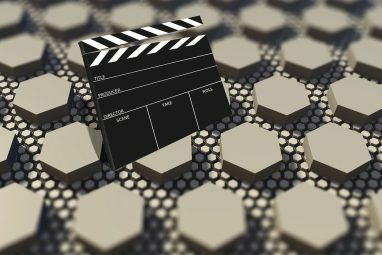 If you’re working with any mid-grade video editing software, you’ll know about keyframes. Keyframes are basically certain frames in your editor that tell the software to do something – whatever that may be. In our case, you can manipulate the speed at certain points based on your keyframes. For instance, at one keyframe you could have the video playback at 100% (normal speed), but at another, it will be 25%. The frames in between will then progressively move slower towards this rate, creating a pretty cool time manipulation effect. The movie 300 features some of the best examples of speed ramping to date. So we’ve got a lot of the technical stuff out of the way. Here’s something I like to do with music videos, but it usually works better with a very slow song. Basically, you speed the song up while shooting and then slow it down in post so the artist’s lips match with the words… but in slow motion. Let’s say we’re shooting in 60fps and then down-converting to 24fps. Well, we know how to do that with video – what about sound? What other tips do you have for working with slow-mo video in post? What else would you like to know? Explore more about: Online Video, Record Video, Slow-Motion Video, Video Editor. Hey, what if I'm mixing different frame rates at the same project? Should I convert them for the same frame rate?